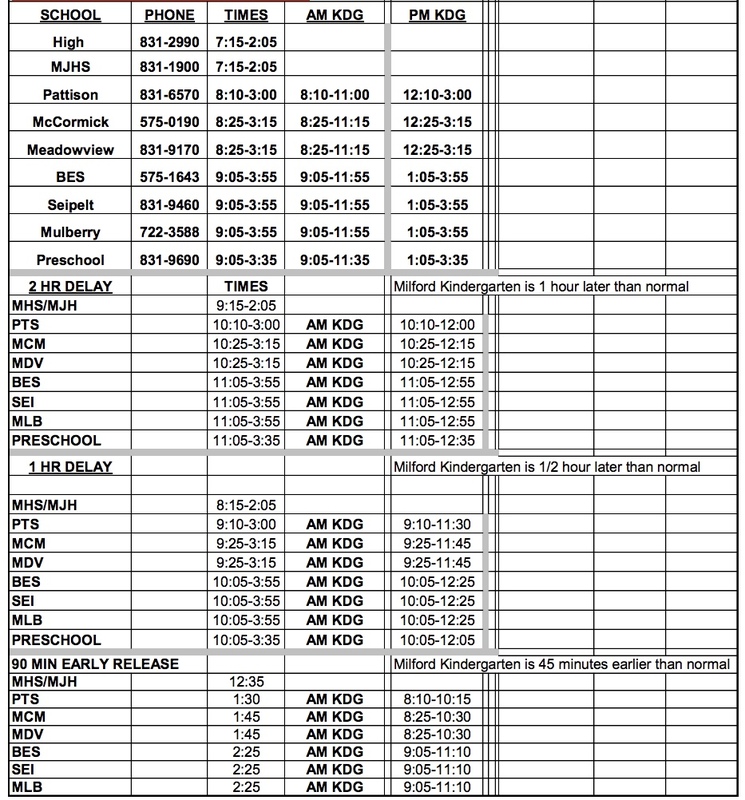 In the event of a weather-related delay or closing, Milford Schools will notify parents through our parent/guardian notification system called SchoolMessenger via text, email, and phone. 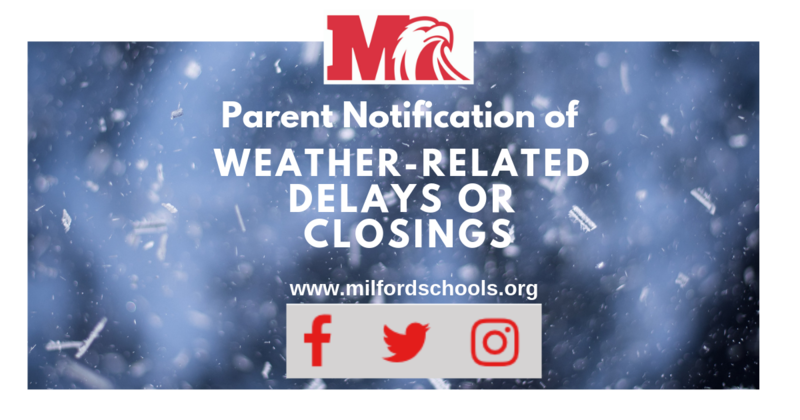 All weather-related school delays and closings are also posted immediately on the district’s website at www.milfordschools.org and our social media accounts (Twitter, Facebook, and Instagram). We also share with all the local media outlets. Please note that once cell phone numbers are uploaded in the system, SchoolMessenger automatically sends out a text message. If you wish to receive these text messages, reply "Y" or "N" to opt out. You can also send a text message of “Y” or “Yes” to our school’s short code number, 67587. Click here for details. If you do not receive a message from the district, please go to your FinalForms account to verify your contact information. Our building secretaries use this information to keep our parent notification systems up-to-date. If your contact information is correct in FinalForms, but you did not receive the call, please contact your child's school.